A short biography of Albert de Jong, Dutch anarchist veteran. Albert Andries de Jong was born on 29 April 1891 in Amsterdam. His parents came from the Frisian region in northern Holland. His father was a baker and nightwatchman, and his mother was an enthusiast of the ideas of the anarchist Domela Nieuwenhuis. He started work as a teacher but was dismissed in 1916 when the Amsterdam City Council supported by the Social Democrats, found that he was in a free love relationship. From then until his death he worked as a stenographer. He discovered anarchist ideas thanks to the influence of Domela Nieuwenhuis whom he first met in 1914. He became the propagandist of Nieuwenhuis’s journal Vrij Socialist ( Free Socialist) and published his autobiography on his death in 1919. During many anti-war meetings held in Holland during World War One, he often spoke alongside Nieuwenhuis. He organised support for war-resisters with Bart de Ligt. In 1921 he and de Ligt were sentenced on the charge of “a call to revolt”, following a mass meeting in support of the war-resister Herman Groenendaaal then on hunger strike, where they called for a strike. He and de Ligt, together with Arthur Lehning set up the International Antimilitarist Bureau to coordinate antimilitarist action. He served for many years on the editorial board of De Syndikalist, the weekly paper of the Dutch syndicalist union the Nederlands Syndicalistisch Vakverbond. and wrote many articles on anarchism and anarcho-syndicalism. He visited Spain in 1937 and wrote a report on collectives there. Among his writings is Van christen tot anarchist ( From Christian to Anarchist), and other works of F. Domela Nieuwenhuis (1910), as well as a a biography of Nieuwenhuis, and another biographical pamphlet on the Swiss anarchist Fritz Brupbacher, and other pamphlets like the one on the 1903 railway strike. In 1933 he was responsible for finding shelter for German anarchist militants like Dr. Gerhardt Wartenberg, fleeing Nazi persecution. He liaised with the underground German anarchist resistance, providing support and visiting Nazi Germany in the pre-WW2 period. 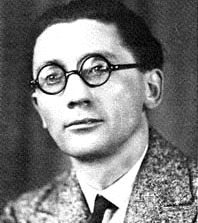 With the Dutch anarchist and anti-militarist Herman Groenendaal he organised a solidarity action for the Jews in Amsterdam under the Nazi occupation. Groenendaal was imprisoned but De Jong managed to escape and then went underground. He was married twice, and his second wife, an anarchist like himself, was Jewish. She had to go into hiding during the Second World War. He had two sons, one, Rudolf, named after Rudolf Rocker, and one Arthur, named after Arthur Lehning. At the outbreak of war in 1939, he had transferred funds and equipment to England which were used to set up an anarcho-syndicalist press service at the end of the war and then the monthly paper Buiten de Perken from 1961-1964.In his latter years he was aided by his son Rudolf, who continued the work of his father and was the author of a book on Spain and articles on the anarchist movement in Holland. He died at Heemstede on 27th July 1970, remaining an anarchist until the end.